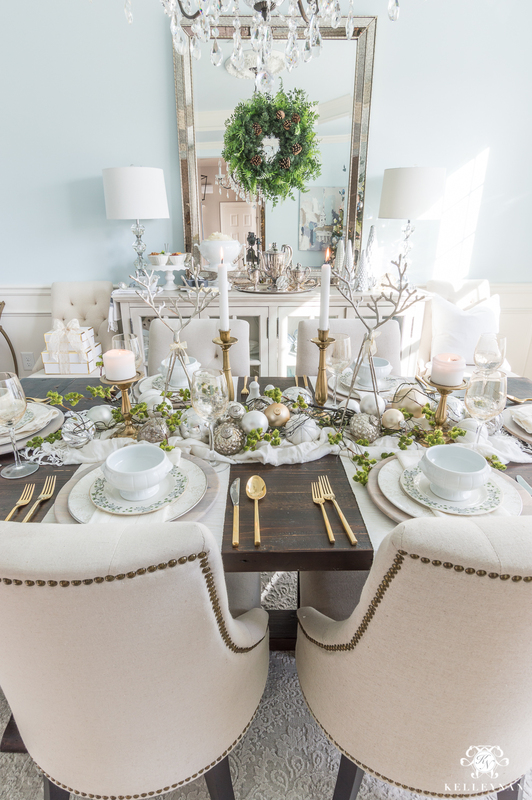 We are days away from Thanksgiving but the holiday season is just beginning! 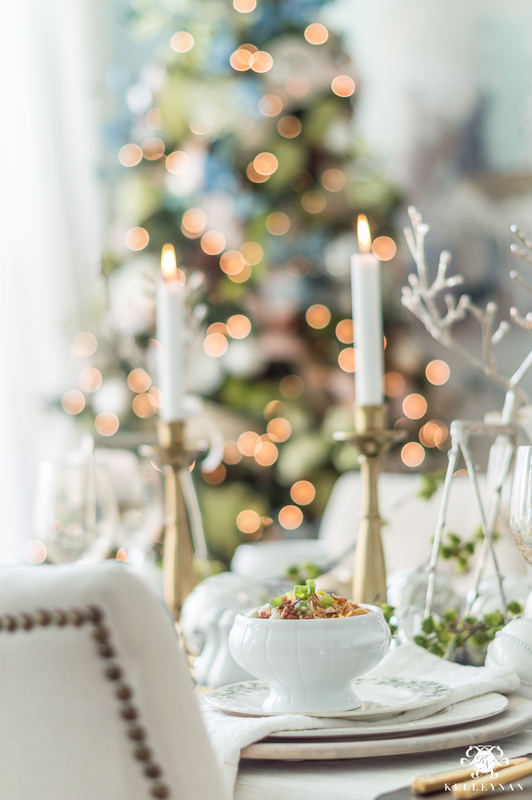 In the midst of decorating, finding the perfect gifts, making memories and scheduling as many family and friend get-togethers as you can possibly fit it, those to-do lists can get overwhelming. Am I right? If you feel like you wanna cry at least one time during the holiday season (because “how is it all going to get done? !”) this one’s for you 😉 Cut yourself a break and find areas you can cut back. I’ve already had to put myself in check this year; when I started panicking and dreading the month ahead, I decided to forego setting up one of the trees and keeping another bare (who doesn’t love a plain, snow covered, “forest” tree? haha). And you know what? It saved me hours of time and made me more excited about the things I was doing. Well friends, the same applies in the kitchen. 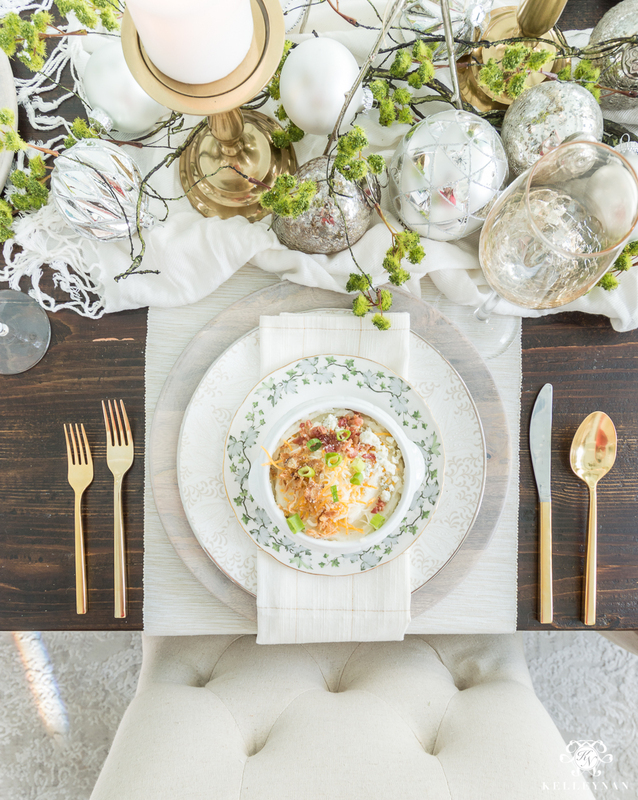 It’s the season of baking and elaborate dinners but if you’re looking for a few ways to make those holiday dinners a little less frantic, I’ve joined five friends today to share some stress free holiday hosting with a few different ways to “fake” some delicious classic dishes. They are guaranteed to save you time in the kitchen, and help you take your meal to the next level. The best part, your guests will never know! You could create 20 custom mashed potato bars in the amount of time it would take to cook one pot of homemade mashed potatoes. So with just a few minutes, and an arsenal of styrofoam KFC containers (they sell pint-sized portions), I created an entire guest experience. I don’t look at it as not being homemade. I look at it as being catered. Secretly. Haha. If you’ve never had KFC mashed potatoes, do yourself a favor and sample some SOON! Once you’ve established that they are delicious, I think you’ll totally be on board for this dinner “cheat”. 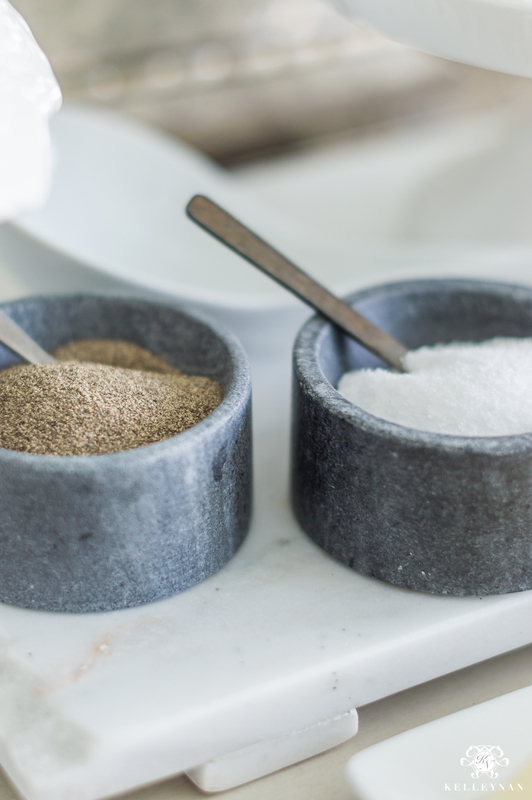 There’s something about giving some customizable options that can take your dinner from “boring cafeteria” to “memorable event”, just by setting out a few fitting accompaniments. 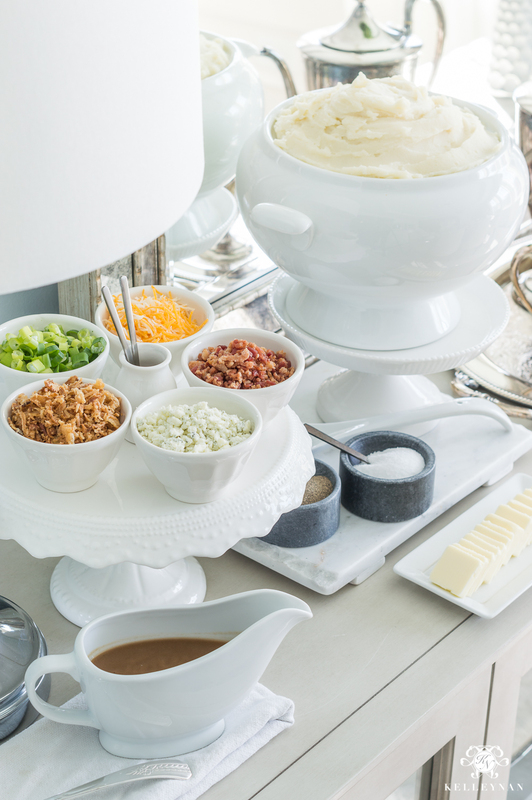 Ok, I’m not saying if your dinner doesn’t have a “fun station”, it’s equivalent to lunchroom status but I always try to find little ways to put that little extra in the ordinary 😉 And, you can absolutely have an extraordinary guest experience with mashed potatoes, even if they aren’t homemade. I used my favorite soup tureen (currently on sale!) but you can put them in your own serving bowl or prettiest dish. 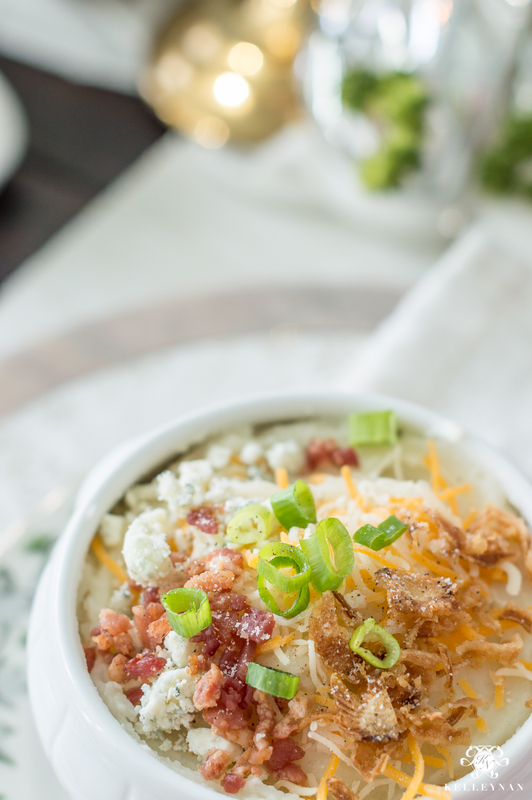 A few toppings I displayed in these mini Anthro latte bowls include green onion, fried onion, cheddar cheese, blue cheese, bacon crumbles, gravy, butter, and salt and pepper. (The gravy is also a cheat – it comes on the side with the mashed potatoes 😉 ) I’m sure you can think of a whole lot more, just remember, keep them EASY or it will defeat the purpose. Like, pour-and-dump-out-of-a-bag type easy. You can also keep your table simple easy. (The difference in “simple” and “easy”? You can create a stunning number that is easy to whip together, that is far from “simple”.) 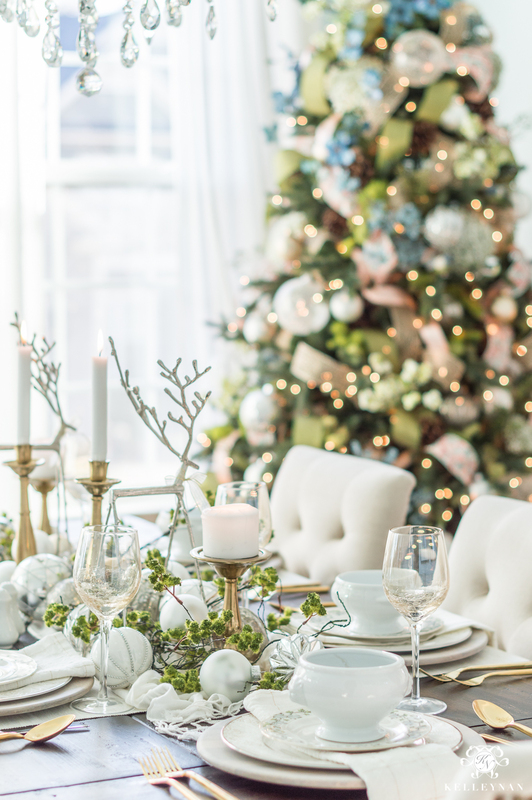 I’ve given a few peeks already of my meadow themed dining room (like in this Christmas tree decorating tutorial, where I showed how I applied ribbon on the dining room tree). 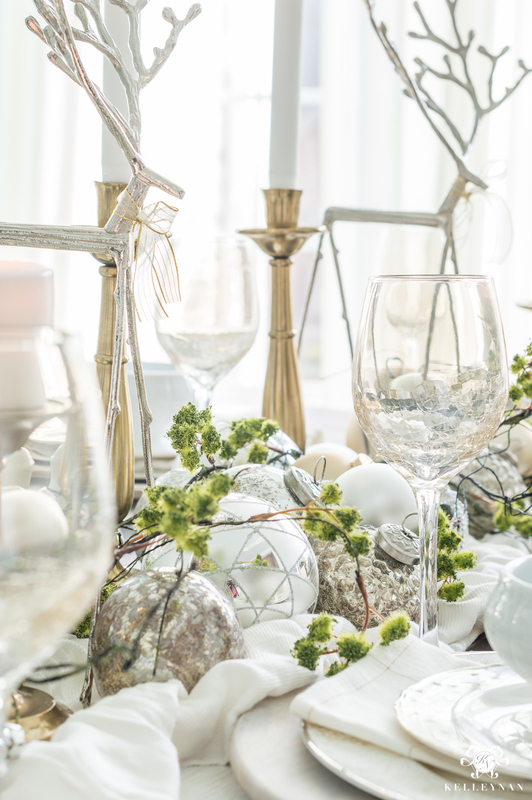 With natural whimsy already in your holiday decor, you don’t have to have flowers to make a statement on your table. 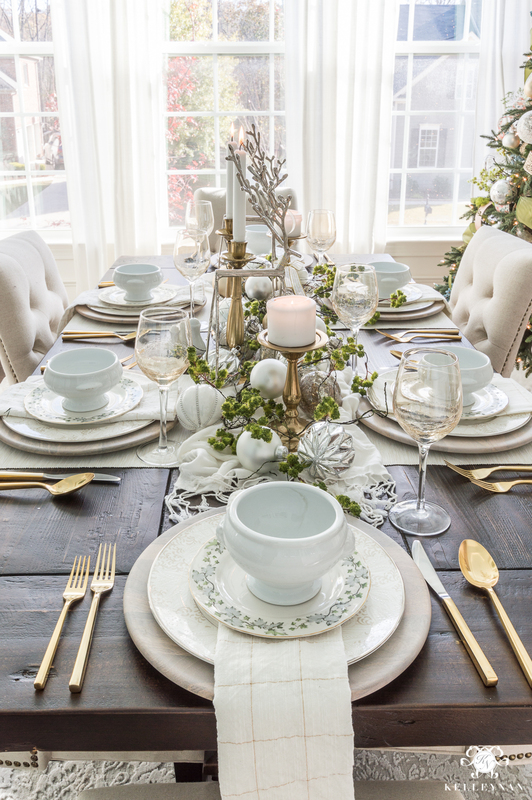 To go along with my meadow theme, I mixed and matched place settings I already had, laid an ivory scarf down the center of the table, spread some mossy twigs I had from spring, sprinkled leftover ornaments down the middle, and added brass candle holders and reindeer. Not a single flower/elaborate floral in sight! 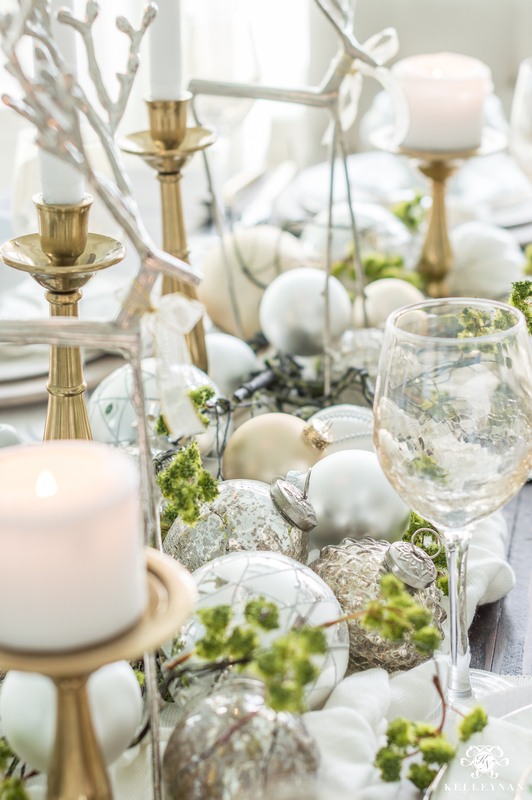 If you’re stumped on how to pull a holiday table together and don’t want to take the time to mess with flowers, go to your closet and pull out a scarf and use leftover balls or borrow some from the back of your tree and position them down the table. 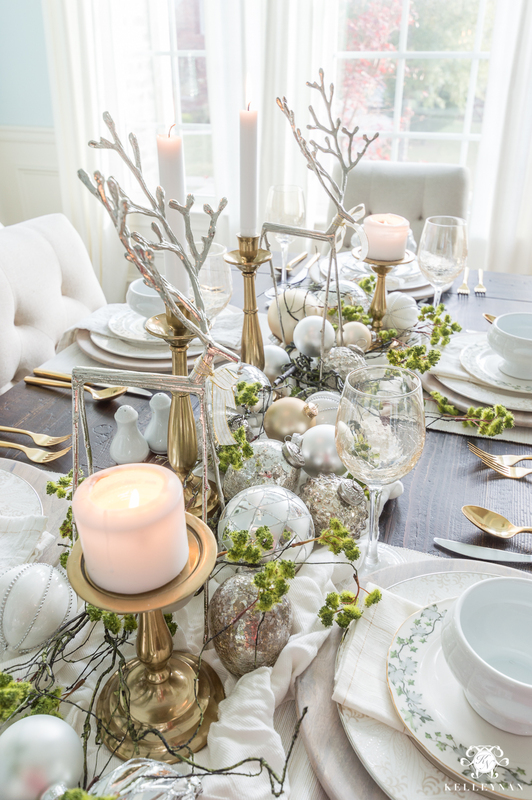 Of course, there’s no easier time to mix those metals than during the holidays when everything is bright and shiny. If you’ve been hesitant before, try it this season with all the pretty metallics. I picked up these footed soup bowls at a shop in south Alabama but found there fraternal brothers HERE. PSA- those pretty little driftwood chargers? They’ve become my go-to for almost each place setting. Today only, they are 50% off! I think I got them when they were about $30/pair; I believe the price dropped to $20/pair, and TODAY ONLY, they are listed for $9.98/pair! You can find them HERE. 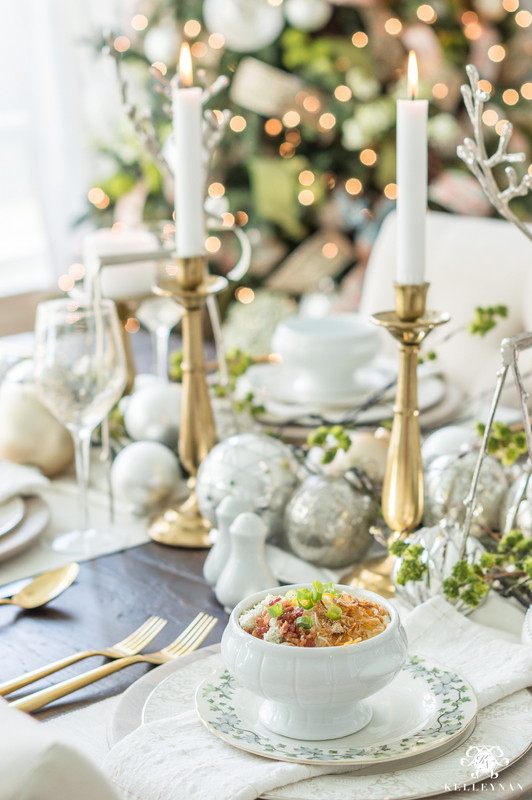 Do you have any easy holiday meal fake-outs or short cuts? Let me know in the comment section. 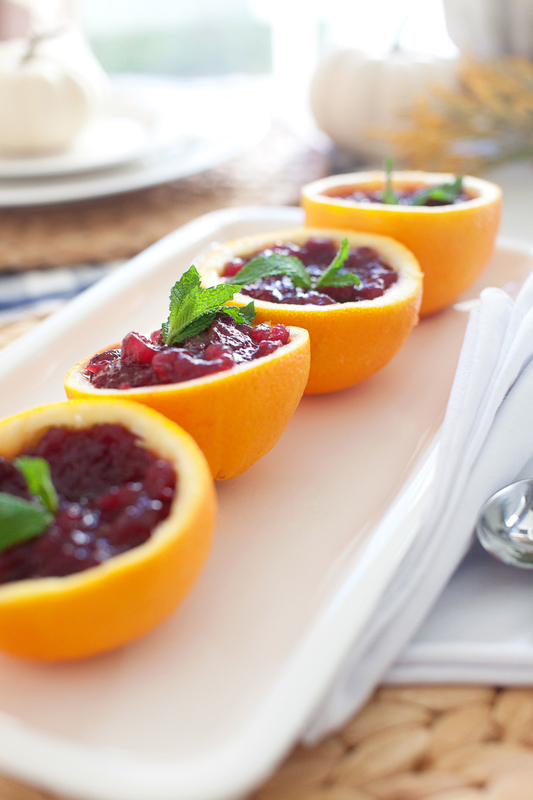 Next, head over to my Layla of The Lettered Cottage; I’ve been dying to see more of these gorgeous cranberry orange cups, because well, take a peek! 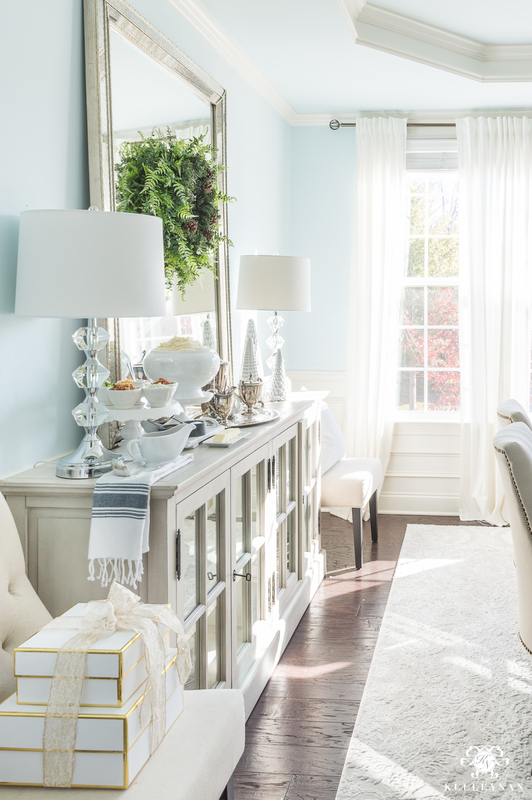 You won’t want to miss any of the other inspiration or time saving ideas, either! Make sure to pay each of these talents a visit for lots more, just in time for your holiday dinners. To catch all the holiday goodies launching soon, you can subscribe to receive email updates at the bottom of this post. Yummy and gorgeous….that’s a combo I can get excited about! The fact that it’s easy is just icing on the cake! Beautiful mashed potatoes Kel! Great idea! Thanks for all these wonderful ideas, Kelley! I’m ordering the chargers! And I love that you have Deann’s art in your room– I had no idea until I saw your full listing of items at the end. I just visited her studio in Nashville last week & bought 2 of her churches from her retired collection. <3 Happy Thanksgiving! Thanks for the great KFC idea! Could you share how many pints it took to fill your soup tureen? Hi, Barbara! 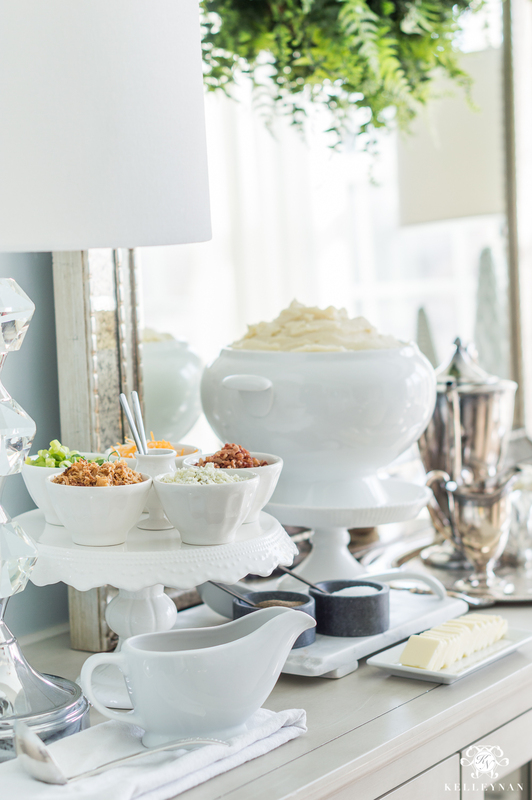 In full disclosure, since this was a shoot and I wasn’t feeding a crowd, I actually worked a little photo shoot magic and had something inside the tureen so I wouldn’t have to waste a lot of potatoes haha. Sorry I don’t have a good answer! I can’t take it Kel! 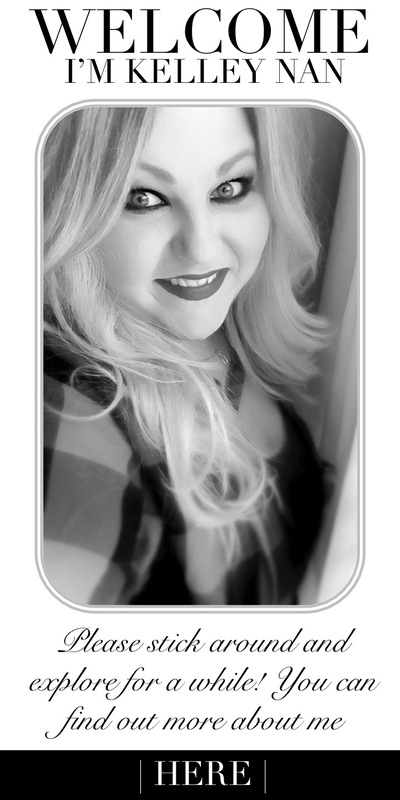 If I had a nickel for every time I say “Ohhhh my gosh, GENIUS” when I read your blog……. Seriously, beautiful AND smart! Thank you for sharing so many wonderful ideas – for ALL seasons!!! Kelley I want to have Christmas dinner at YOUR house! Tell Dave I think something’s wrong with him because if you don’t like KFC potatoes, you have issues – lol! But seriously, you are so creative and shared the most beautiful setting and side – love! Your tablscapes are so pretty. I always revert back to your pages as a shop! I have a question that i always struggle with though. I never know how many chargers to buy? what is your go to number? I’m always afraid I won’t have enough and if so, is it ok if not every place setting has one? Hi, Audra! I like to have one set that has at least 12. We don’t host that many people that often but when we do, I have oe set that will cover us. For the others, I just do 6 which is what my table is typically set for. And, if you get them in stages or don’t have enough, that’s totally ok! I don’t always use them with a table cloth. Why have I never thought of KFC mashed potatoes? 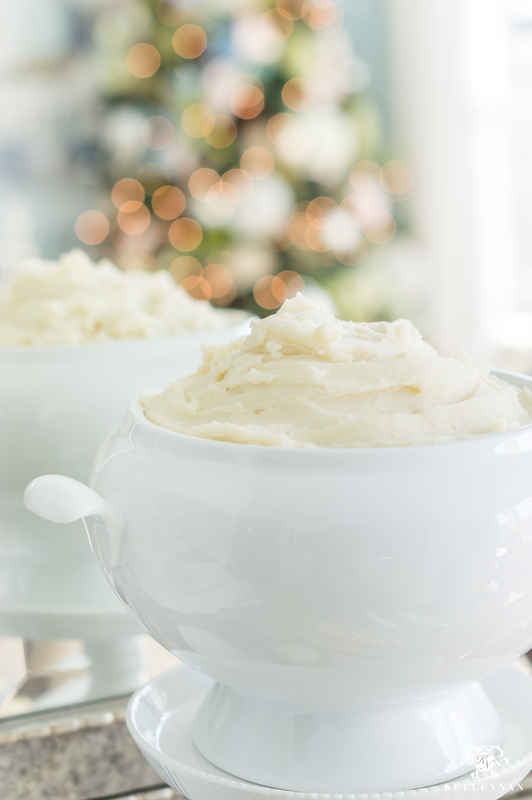 But I have thought of Costco’s mashed potatoes and I’ve even been known to sprinkle in some Ranch powder dressing… catered and homemade, haha! Beautiful presentation friend.